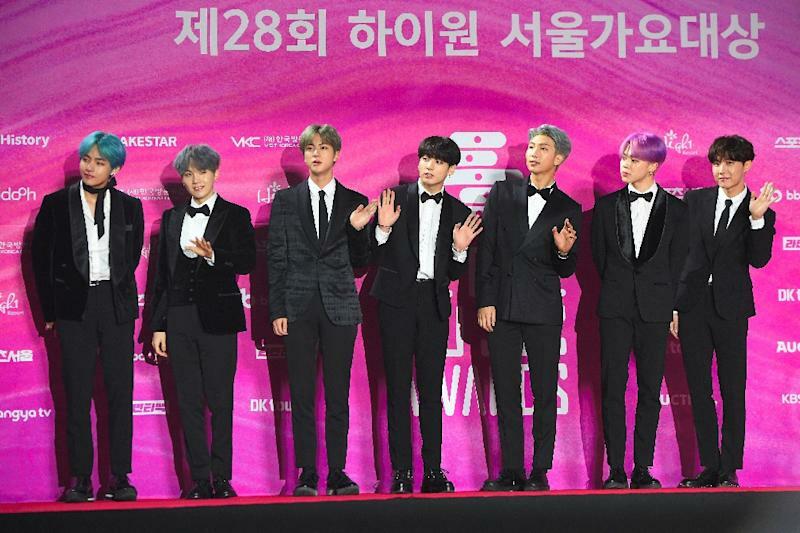 Nonsan (South Korea) (AFP) - Despite generating almost $4 billion a year for the South Korean economy, the seven floppy-haired members of K-pop boyband BTS will still have to perform nearly two years of mind-numbing military service. But the likes of Tottenham Hotspur striker Son Heung-min and award-winning pianist Cho Seong-jin are entitled to exemptions, prompting calls for an overhaul of the controversial pass system. The bulk of South Korea's 599,000-strong military -- who face off against Pyongyang's 1.28 million Korean People's Army -- are conscripts, with all able-bodied men obliged to serve for 21 months. They are forbidden access to mobile phones, have to fulfil endless hours of tedious sentry duties -- often in remote locations -- and are largely confined to their bases, opening the possibility of exploitation and abuse by more senior soldiers. 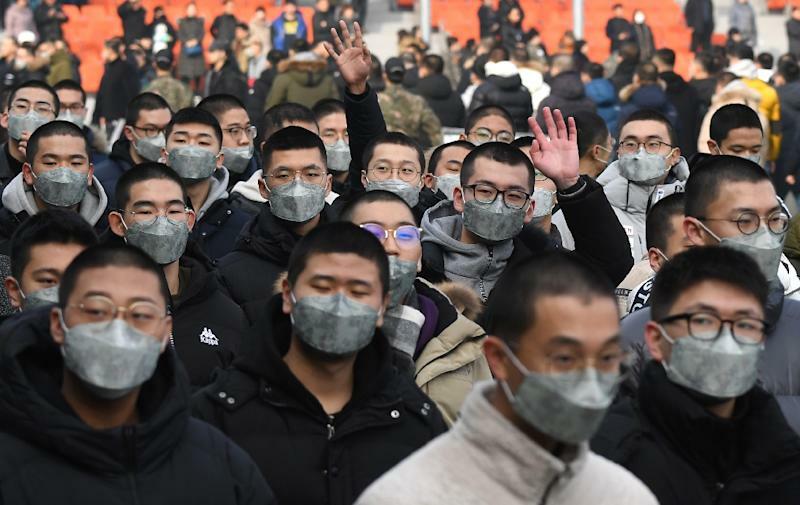 "I think three out of 10 conscripted men on average struggle very much in every day military life, mainly because it couldn't be more different from their civilian life," said Kang Sung-min, a 25-year-old college student, who performed his service in the military police. But not everyone is required to submit to the ordeal. Olympic medallists -- of any colour -- and gold-winners at the quadrennial Asian Games are automatically exempted, along with artists who come first or second in 27 listed global contests, such as Cho, who won the Hamamatsu International Piano Competition. The highest-profile recent beneficiary is Spurs' Son, who broke down in tears of joy when the Taeguk Warriors defeated Japan 2-1 after extra time in September's Asian Games football final to spare him a potentially career-threatening stint in the military. Son was among no fewer than 42 athletes who secured dispensations by winning gold in Indonesia -- a tally widely resented by young Korean men obliged to interrupt their studies or delay their careers to do their duty. As controversy mounted the government launched a review of the exemption system which Jung Sung-deuk, deputy spokesperson for the Military Manpower Administration, told AFP was focussed on "reducing its scope". In an opinion poll most respondents -- 52.4 percent -- wanted exemptions reduced or terminated entirely. But at the same time some are suggesting the system -- which aims to reward those who "raise the national profile" -- grants athletes excessive privileges for one-off achievements, and should be extended to cover pop stars, given the cultural and economic benefits they generate. BTS topped the US Billboard album charts twice in 2018 with "Love Yourself: Tear" and "Love Yourself: Answer", becoming the country's best-known and most valuable musical export, complete with a legion of adoring female fans known as the "BTS Army". In December the Hyundai Research Institute in Seoul estimated the boyband were worth more than $3.6 billion a year to the South Korean economy, and the reason that one in every 13 foreign tourists visited the country in 2017. South Korean lawmaker Ha Tae-keung told AFP the current exemption policy gives certain specific groups unjustified advantages. "If opera singers are eligible for exemption, then pop singers should also be on the principle of fairness," said Ha, who is 50 but has long maintained that K-pop is more significant than classical music in promoting Korean culture worldwide. The current rapprochement on the peninsula raises the prospect that the South may one day no longer need a conscript army. 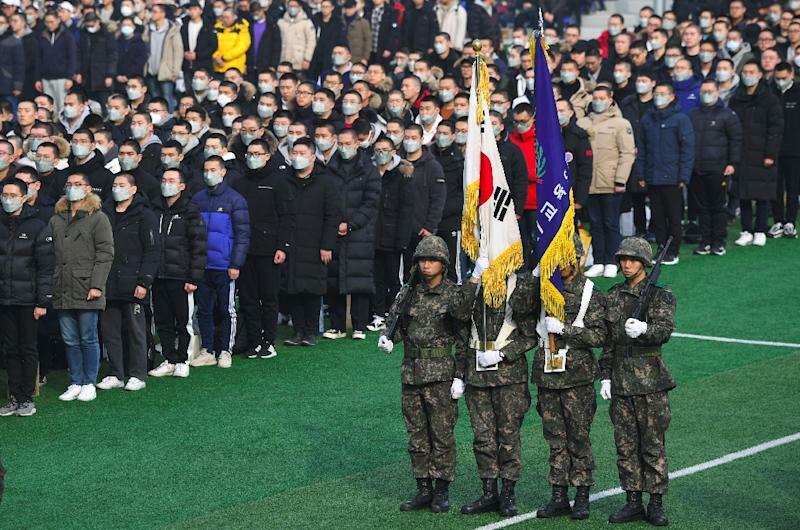 But as things stand, hundreds of K-pop fans often gather to wish their heroes luck as they join the military -- and entertainment careers can be destroyed if musicians are seen as trying to evade service. Popular 1990s K-pop singer Steve Yoo became a US citizen in 2002, automatically forfeiting his South Korean nationality and with it his military obligations. Public sentiment was outraged, and two weeks later the justice ministry barred Yoo from entering the country -- a ban that remains in place to this day. Similar views remain commonplace among South Koreans, who expect that every man will do his duty. At the Nonsan military training centre south of Seoul, hundreds of young men report for conscription every Monday, their mothers clasping their newly-shaved heads in tearful farewells. New soldier Choi Doo-san told AFP it made "absolutely no sense" to even consider granting pop stars exemptions. "Every man here contributes to the defence of the country by doing military service," said the 20-year-old, who has taken a break from his studies in electrical engineering studies at Howon University to enlist. "They can always make a comeback afterwards."